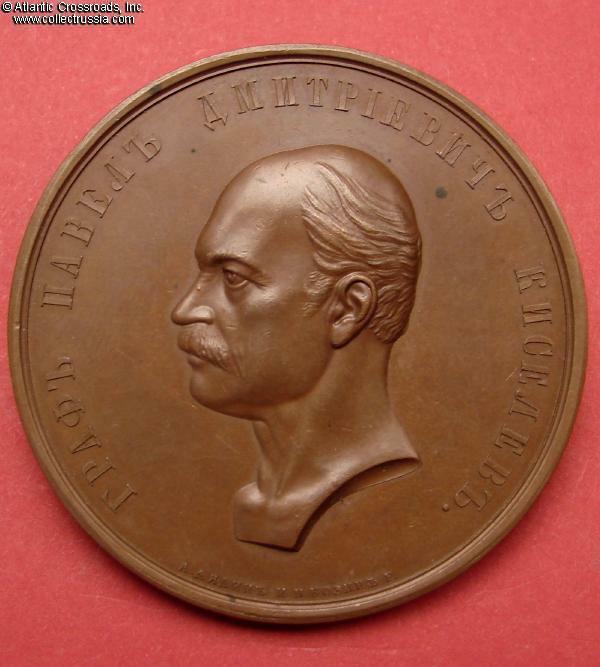 "For 20 Years as Director of the Ministry of State Property, Count P D Kiselev", 1856, bronze commemorative table medal. 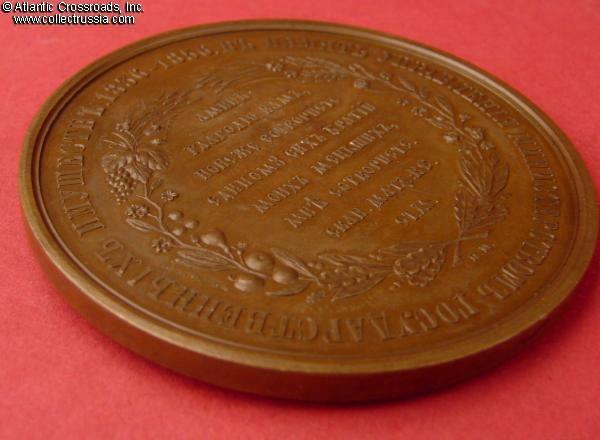 59.2 mm wide; weighs 72.6 grams. By A. Lyalin and N. Kozin. 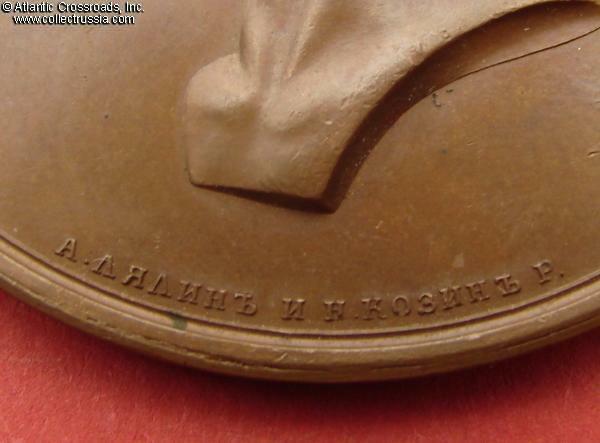 Obverse bears a bust of Count Kiselev surrounded by his name: "Count (Graf) Pavel Dimitrievitch Kiselev". 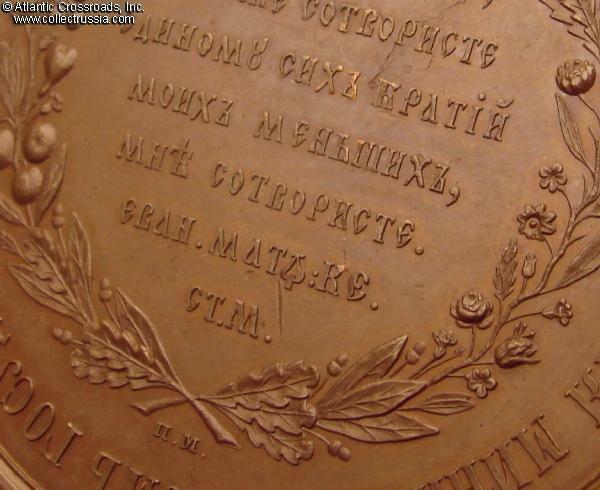 Reverse bears an eight line inscription within a wreath, with a legend around the rim that includes his dates of service: 1836-1856. Deep toffee-brown color. 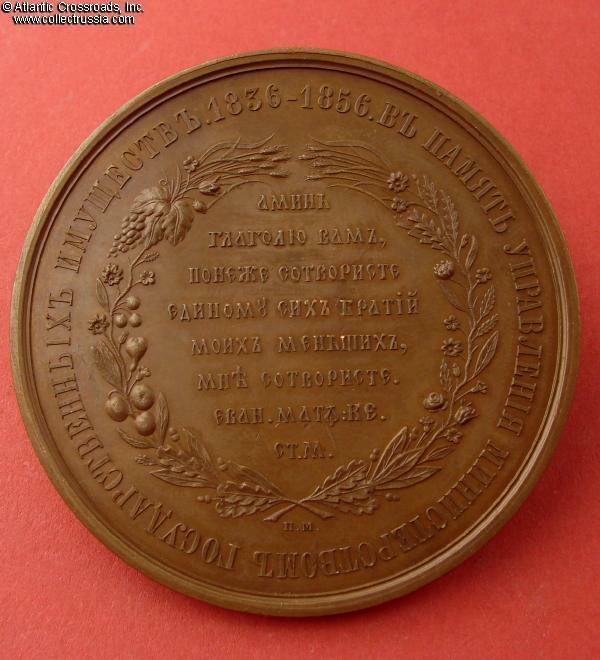 Count Kiselev (1788-1872) was one of the most important Russian statesmen of the 19th century. Nicholas I referred to him as his "Chief of Staff for Peasant Affairs" - even though the Decembrists intended to include him in their government if their coup d'etat had succeeded!